With Summer just around the corner, the countdown to party season has officially begun! However, Summer and all of it’s events can add up to be an expensive affair, especially if you’re jetting off somewhere sunny too! But don’t worry – we’ve done the hard work for you and styled a selection of outfits for whatever your occasion, all coming in at less than £60! The end of year prom is one of the first chances a girl gets to glam up in a gorgeous gown with stunning hair and make-up. However, prom dresses can now cost hundreds of pounds, and that’s before the added expenses of shoes and accessories! If you’re sticking to a budget, don’t worry! We have a stunning selection of affordable dresses and shoes that will keep you looking like the belle of the ball! For maximum impact and head to toe sparkle, the Silver Valentina Evening Maxi Dress is the gown for you. We love the added edge of the geometric pattern too! 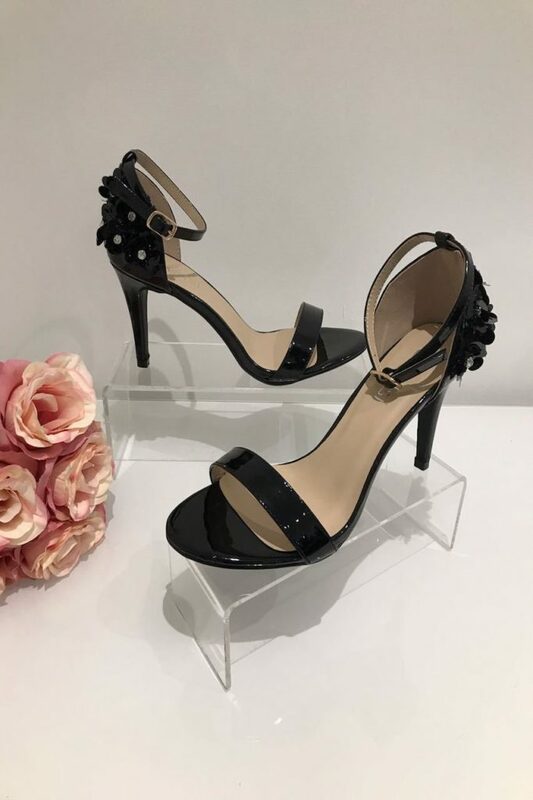 Pair it with simple black heels, like our Black Sequin Strap Heels, to let the dress speak for itself! The best part? This entire outfit costs just £57.90! Love the sparkle but want something you can dance in? The Ruby Sequin V Bar Skater is your perfect match! The ombre effect sequin pattern ensures you twinkle at every moment, and the colours themselves are simply stunning. We’d recommend pairing the dress with a simple silver shoe, like our Silver Sequin Strap Heels, to compliment the subtle silver in the dress. This stunning outfit comes in at just £52.90! If you want to keep the impact high without relying on head to toe sequins, the Gloria Velour Rose Gold Glitter Maxi Dress is the dress for you. Super chic and elegant, this floor length gown is embellished with subtle rose gold glitter detailing, complete with a gorgeous fishtail hem and slight train. We’ve styled it with our Gold Sequin Strap Heels to compliment the subtle sparkle. This full outfit comes in at an amazingly affordable £57.90. Whatever your style, we’ll have something perfect for you! Make sure you tag us in your prom night pictures on Facebook and Instagram, we want to see! There’s a chance you could be featured on our website, too.